Great storytellers in music go back a long way. Much of my favorite music is the storytellers of old country music like Johnny Cash, Willie Nelson and Merle Haggard. Someone that could tell a great story about real people that may be a bit down on their luck. There are plenty of songwriters still around that are carrying that torch. Patterson Hood and Mike Cooley of Drive-By Truckers are two great examples of great storytellers in music today. It's a bit out of the country music vein but Craig Finn of The Hold Steady is also a fantastic storyteller. Where as Drive-By Truckers lyrics are soaked in booze, Finn's tales are hopped up on pills and LSD. There have been plenty of great storytellers in between as well like Gram Parsons and especially Bruce Springsteen. 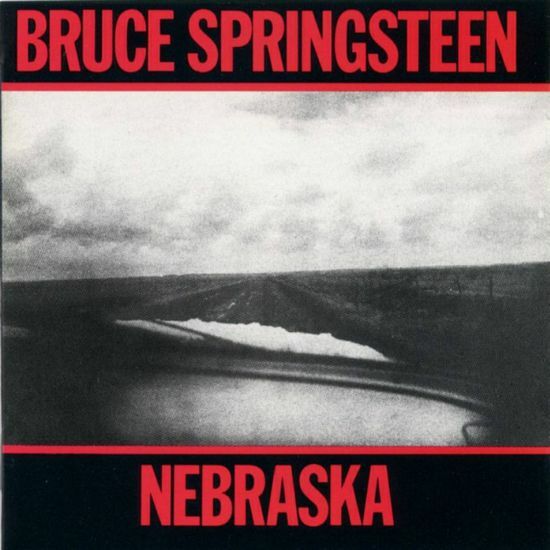 There's no better example of Springsteen's ability to tell a great story in a song than in the the 1982 album, Nebraska. Bruce recorded all of Nebraska with only a guitar, harmonica and vocals. Instead of polishing it up in a studio, what he recorded as the demos are what you hear on the album. The albums starts of with the chilling title track which is about mass murderer Charlie Starkweather's killing spree sung in the first person. It's really pretty creepy if you pay close attention to the lyrics. The second song on the album may be my favorite Springsteen song of all time in 'Atlantic City', which is another tale of someone caught up with the wrong people and also contains some of my favorite Springsteen lyrics. 'Highway Patrolmen' might be one of the best old fashioned storytelling songs of all time. The song finds two brothers, one a cop and one a criminal. The song tells about how the cop always looks out for his brother, even when it conflicts with his duties as a highway patrolmen. It's touching really and I dare anyone to find a better story within a single song ('Long Black Veil' excluded). I really could go on and on about each track. Whether it's 'Used Cars' about a family without enough money to get by or 'Johnny 99' about a man driven to crime by bad luck and bad decisions; every track is pretty damn amazing. The album ends with a perfect closer of 'Reason To Believe', because as heartbreaking as this album is, it's nice to end anything this sad with a little hope. This is simply a great post Matt. I'm somewhat partial however for 'Nebraska' is my favorite Boss album. However, there are some "rules" to spinning this masterpiece. 1.) never play this album around folk you don't know so well. They may get the sense they're in for a night of unexpected terror. 2.) never play this album alone after a night of Maker's & water. You may just be conteplating that mysterious noose that resides in your closet. You know, the one next to the gagball and leather chaps. Kidding aside, this 1982 landmark album is a DO IT YOURSELF blueprint that sappy indie artists have been trying to replicate for nearly 3 decades. Kudos Bruce.